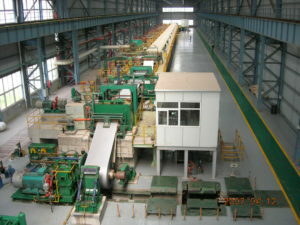 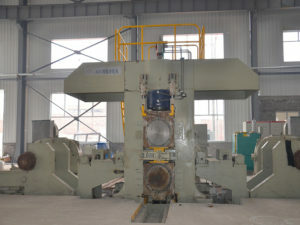 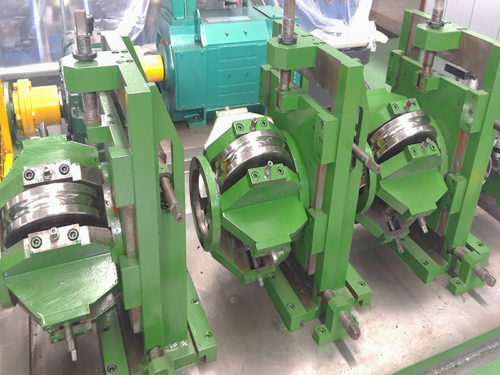 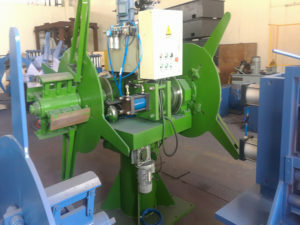 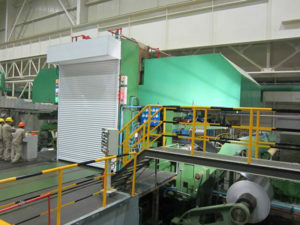 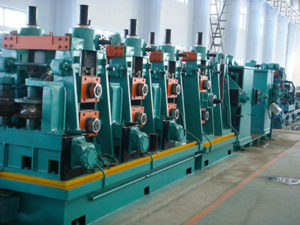 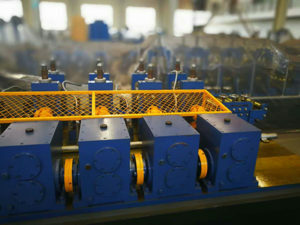 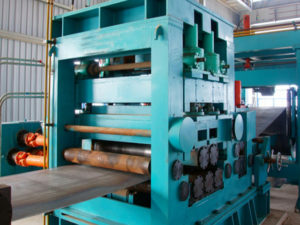 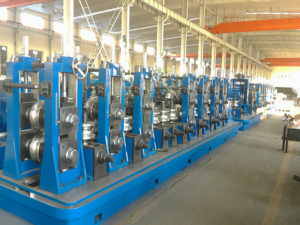 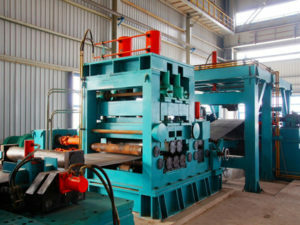 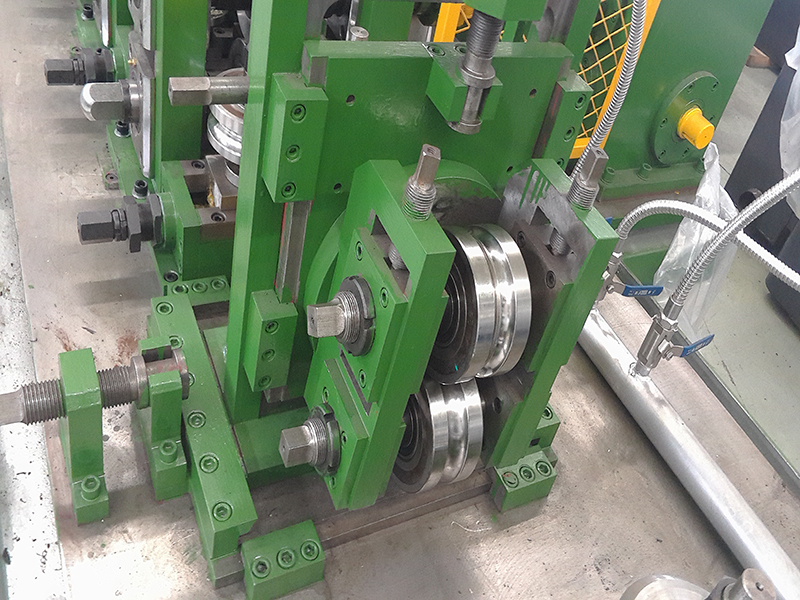 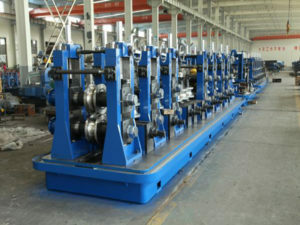 Slited coil is uncoiled and feed into forming section passing through the equipment of entry section. 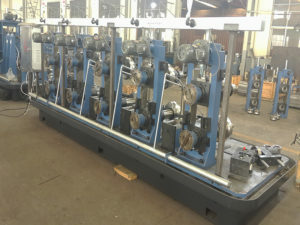 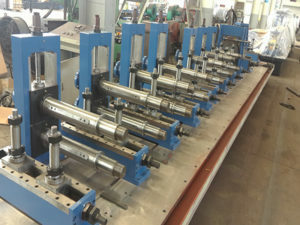 Entry section enables tube mill to run continuously by using strip joining and accumulator. 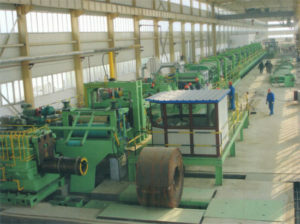 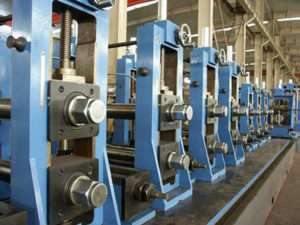 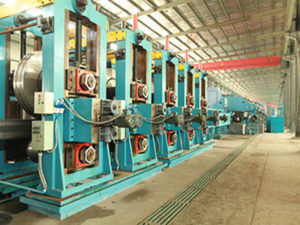 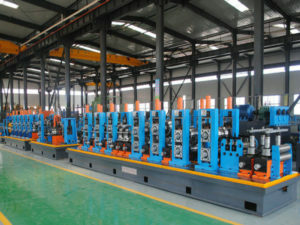 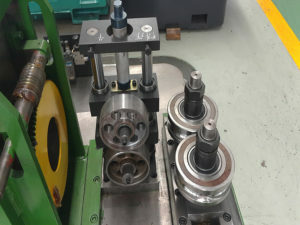 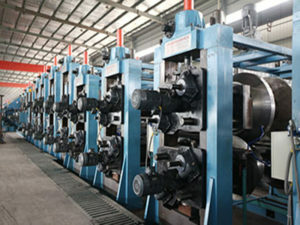 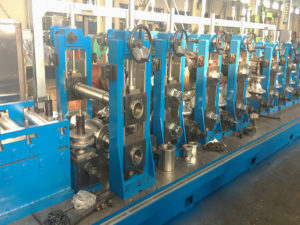 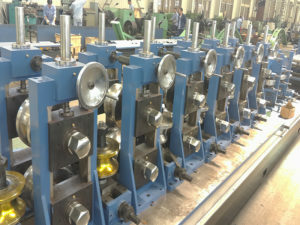 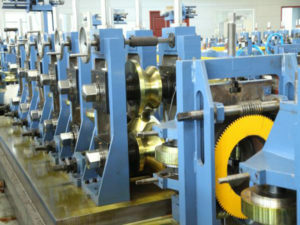 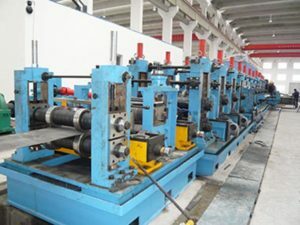 Before welding, pipe is formed in round shape passing through a series of driven and idler rollers of forming section. 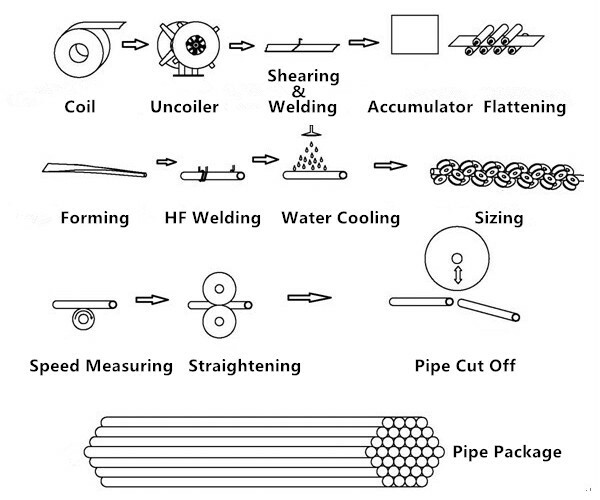 In welding section pipe is longitudinally welded by using high frequency induction welding method. 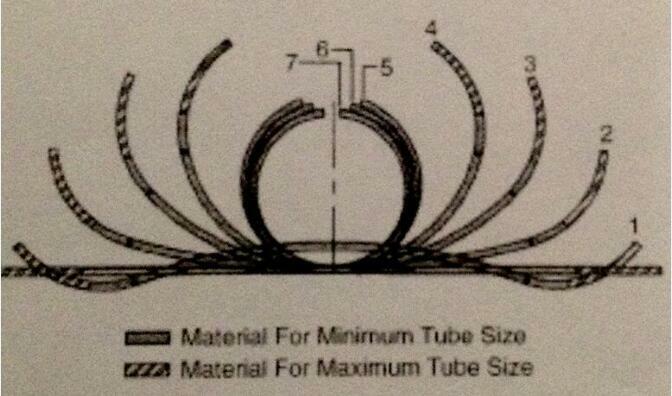 Outside bead is removed and formed in shape of scrap. 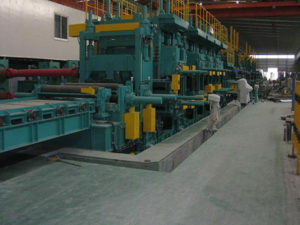 The weld seam is ironed and pipe passes through the cooling section. 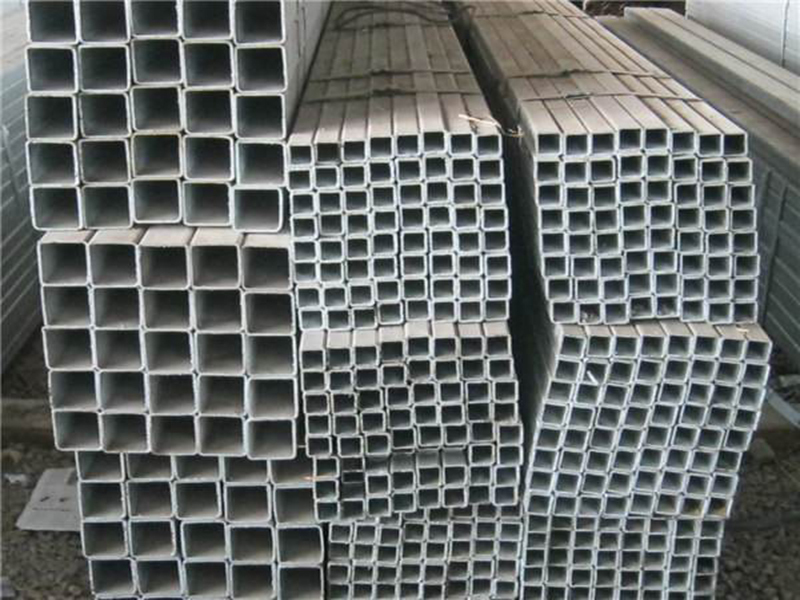 Then in sizing section, pipe is formed to specified size and converted into specified shape. 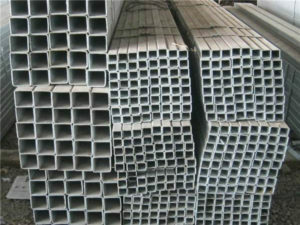 After sizing, pipe is cut to required length by using flying saw cut off equipment and delivered to collecting table after passing through run out conveyor. 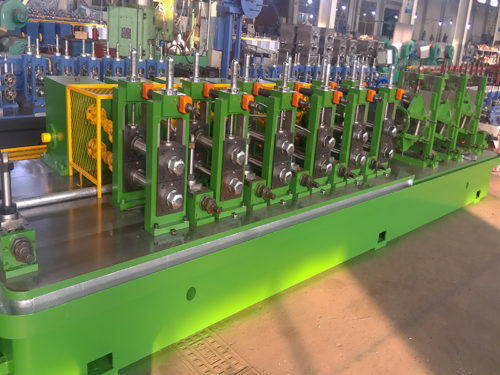 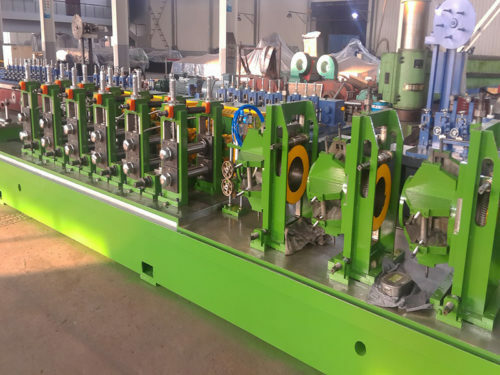 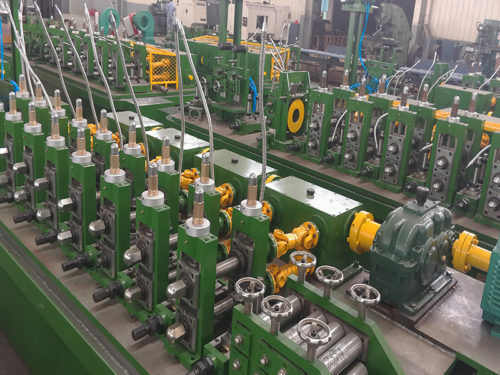 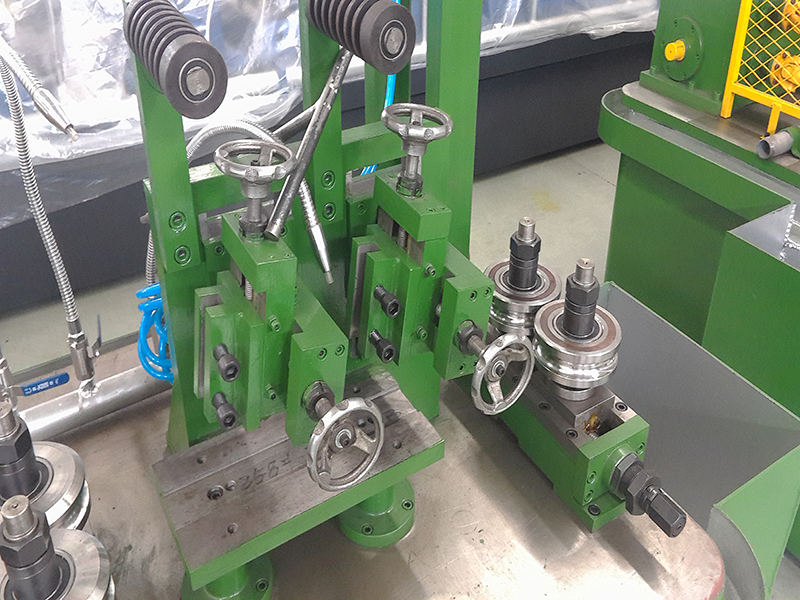 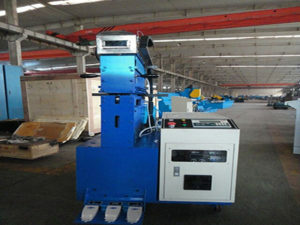 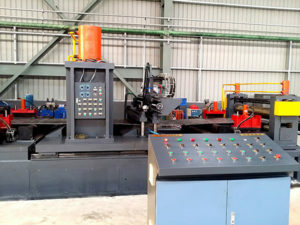 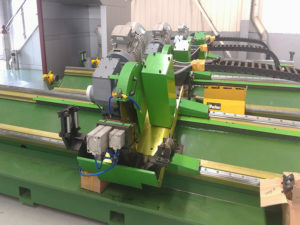 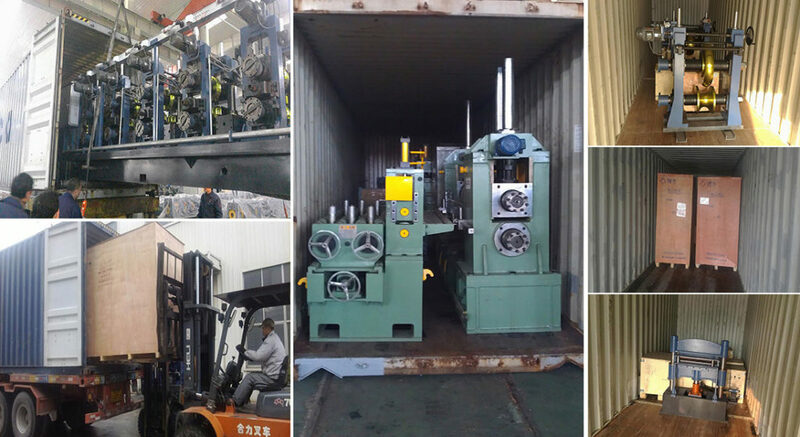 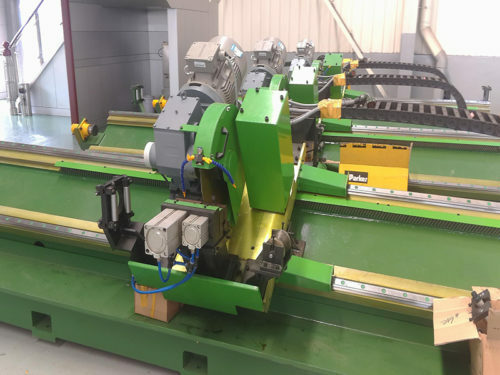 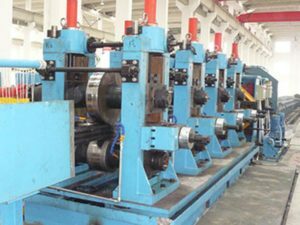 It is used to shear the head and the end of the steel strip of two steel coils, cutting off the irregular part then welding two steel strips, so machine can work continuously.